TED (which stands for Technology, Entertainment and Design) is famous for turning 17-minute talks into viral videos. This year's conference has kicked off in Vancouver, offering a new set of thought-provoking talks under the tagline of 'ideas worth spreading'. The theme for this year's conference is 'Bigger than Us' and includes talks from Twitter chief executive Jack Dorsey, the president of Sierre Leone Julius Maada Bio and journalist Carole Cadwalladr, who broke the Facebook/Cambridge Analytica scandal. The conference has become a showcase for tech innovations, with the talks later shared online, some gaining millions of views. TED is not without controversy. Some view it as cult-like and insular, others do not like the fact that talks are heavily rehearsed and formulaic - most speakers will kick off with a personal tale - with one critic recently describing it as "amateur dramatics for intellectuals". And the conference, which prides itself on spreading good ideas, found itself at the centre of a sexual harassment scandal when five people, including one of the speakers, complained about being harassed during its 2017 conference. But most agree that its fellowship program has become one of the best things about the annual conference. It offers around 20 "extraordinary innovators" a free pass for three conferences - tickets usually cost upwards of $5,000 (£3,800) - and a platform to showcase their ideas and turn them into businesses. They are also given mentoring with an expert dedicated to helping them expand their projects. It used to be a sideshow of TED but is now an integral part of the conference - with day one dedicated to talks by fellows. Now in its tenth year, the TED fellowship has created more than 400 fellows, and their talks have been viewed more than 250 million times. The BBC, which has been attending TED since 2011, caught up with four past fellows to find out what being part of the TED community did for them. In 2013, Skylar Tibbits had his own 'TED wow moment' when he showed off a 4D printer that allowed objects to self-assemble. Since showing off his prototype system, Mr Tibbits has set up the Self Assembly Lab at the Massachusetts Institute of Technology, which now has 15 researchers. He told the BBC he still gets emails on a weekly basis asking about his original TED talk. "TED gave a platform to present my ideas and work and invite people to collaborate with us. From that, companies approached us, funded us and collaborated with us. "This opportunity really kick-started my career and gave a diving board for almost everything that came after," he said. Dr Andrew Bastawrous gave a TED talk in 2014, showing off an app that allowed any smartphone to diagnose sight loss. Since then, the research project has grown into a major social enterprise based in seven countries, including Kenya, Pakistan and Zimbabwe. In Botswana, Peek Vision is working with the government to screen and test the eyesight of every school child. Dr Bastawrous told the BBC: "Being a part of the fellowship has meant being with others who share a common path, a path to solve some of the biggest challenges today, alongside others walking this difficult but incredibly fulfilling journey. The programme has equipped, supported and catalysed an idea that is now coming to life on a global scale." Sarah Parcak has become a veteran of TED conferences, where she is easily spotted thanks to her signature Indiana Jones hat. She gained the moniker 'space archaeologist' because she uses satellite imagery which she combines with sophisticated algorithms to identify subtle changes on the ground which could signal a hidden human-made structure. The system has located 31,000 lost settlements, a thousand tombs and potentially 17 pyramids in Egypt. In 2016 she became the winner of the TED prize - a $1m award offered to an individual to "spark global change" and she used the money to set up a website GlobalXplorer to crowdsource undiscovered sites around the world, allowing citizen-scientists access to imagery and the ability to spot and report sites. Since its launch some 85,000 people have studied more than 16 million satellite images, and helped discover 29,000 potential features in 700 sites in Peru. Prof Parcak said: "I don't think GlobalXplorer would have happened - at least not in its current form - without the seeds that were planted in my fellowship, now seven years ago." Lebanese inventor Ayah Bdeir became a TED Fellow in 2012, showcasing her littleBits kits which are made up of Lego-like bricks, with transistors attached, which snap together using magnets. Each brick is colour-coded and has a different functionality, including light, sound and movement. Her aim was to encourage a new generation of inventors. In 2016, the start-up joined forces with Disney to create branded kits for movies such as Star Wars. That ambitious program has been scaled back and now the two are focusing on educational partnerships, aiming to get more girls involved in STEM (Science, Technology, Engineering and Maths). The kits are in 10,000 US schools and the new project Snap The Gap will see kits given to 15,000 girls in California, with the aim of reaching all US states by 2023. 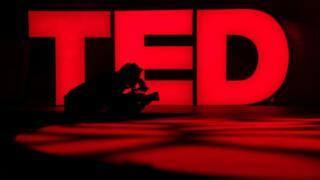 Ms Bdeir told the BBC: "The TED Fellowship was a pivotal moment in my career. It was a platform to really think big at the level of the world, not just technology."